This weekend was full of many projects and finds! 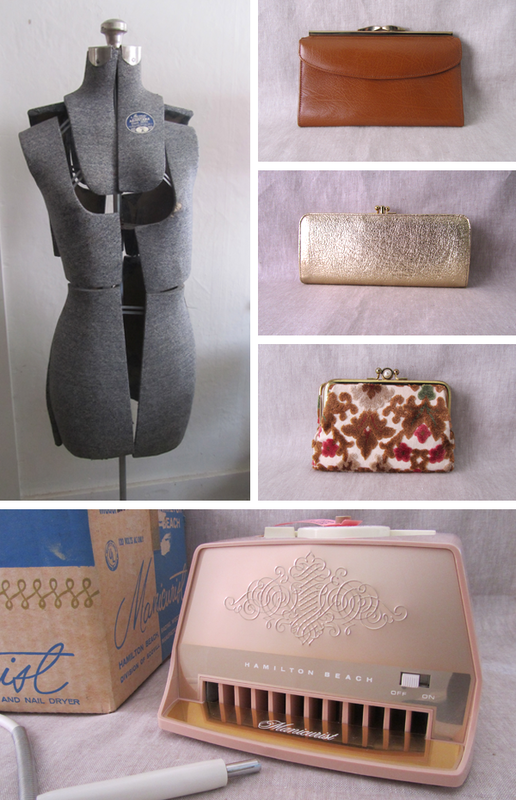 Here is our most recent additions to our currently for sale items. Some of these will are listed on etsy, but always feel free to contact us directly. 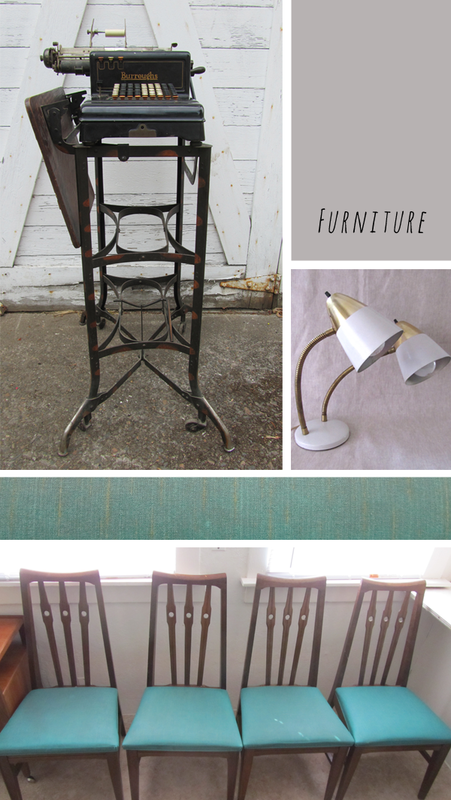 Clockwise from top: Toledo Uhl Art Steel Adding Machine Table - $400, Dual Gooseneck Lamp - $45, & 4 Mid-Century Dining Chairs - $200.